Published on September 2, 2012 in General T&T, Politics and Sports. 5 Comments Tags: Keshorn Walcott, Raffique Shah, T&T Govt. PATRIOTISM. I have seen and heard this word used, misused and abused so much over the past few weeks, I felt like retiring as a patriot, surely an oxymoron that would have reduced me to a moron. Patriots, like revolutionaries, racists or bigots of any shade or persuasion, cannot resign or retire or even change. Either you are, or you are not. 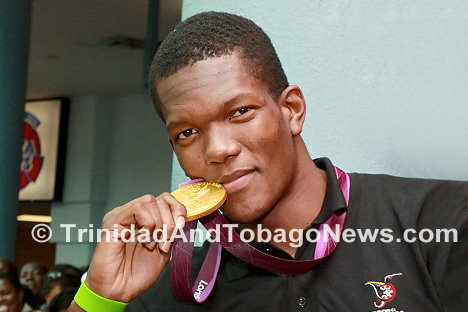 Published on August 19, 2012 in England, General T&T, Politics and Sports. 2 Comments Tags: Jack Warner, Kamla Persad-Bissessar, Keshorn Walcott, Politics, Raffique Shah, T&T Govt. I EXPERIENCED déjà vu last Monday, a feeling of “been there, seen that” as I watched the Prime Minister and her Cabinet colleagues milk golden boy Keshorn Walcott for all he was worth, and then some. Politicians can be merciless in extracting their mileage from achievers. Walcott, having endured two extensive world-class sporting events with all the in-built tension, not to add energy- sapping hours of travelling, was forced into an ultra-marathon homecoming to satiate the political appetites of the powers-that-be. In what should have been his hour of glory, I felt sorry for the boy.